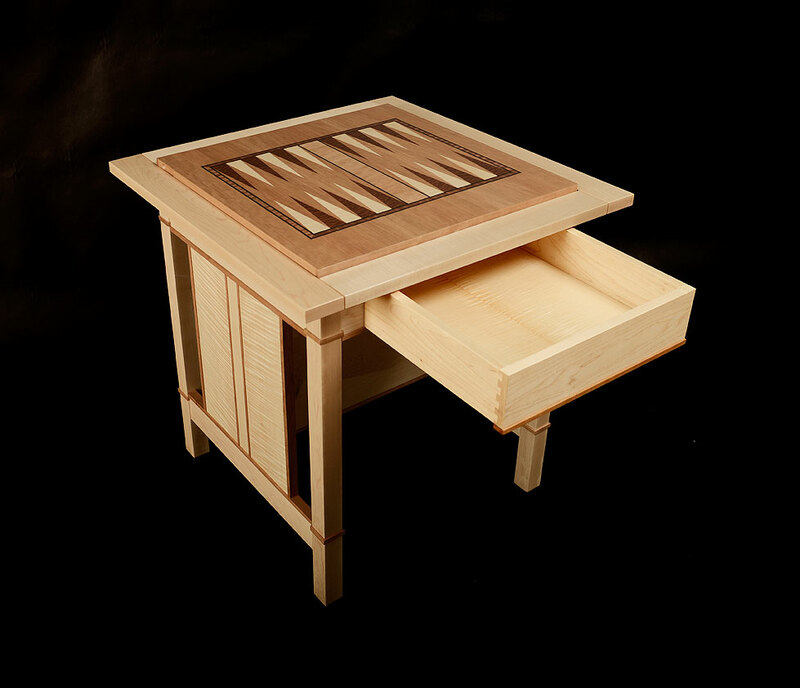 This table was a collaboration between me and Tom Schrunk commissioned by a mutual client. Tom did the veneer work for the two-sided game board, and I made the table. 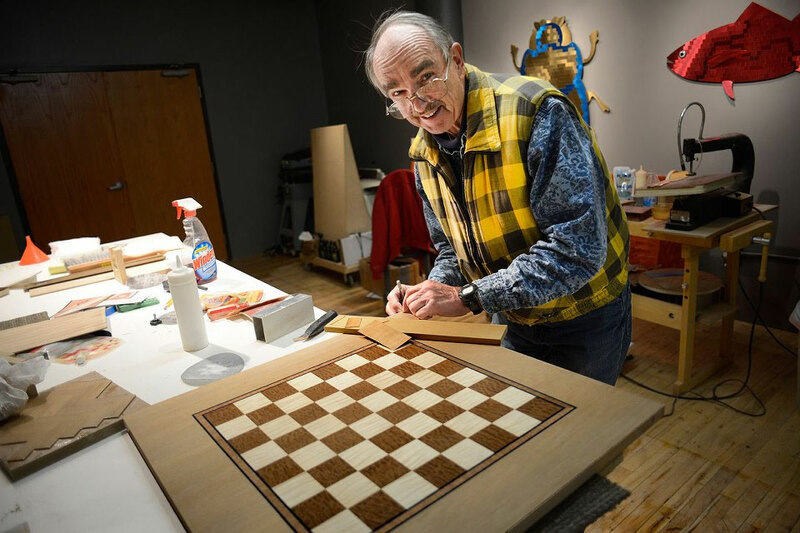 This is the first time that he and I have worked together on anything, and it is an honor to have a truly world-class veneer artist lending significant class to the work. 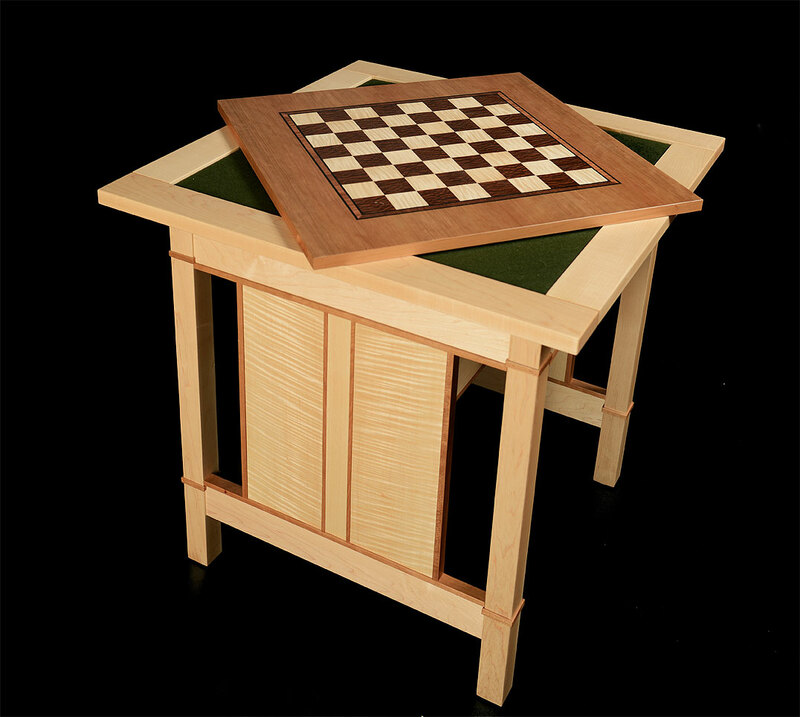 The game table with the checker/chess board up and set at an angle to reveal the felt table liner. Tom doing a quick touch-up before the board and table go to the finisher.